Even the biggest Star Trek fans may not know Joseph Sargent by name. The four-time Emmy-winning director only worked on one episode of the original series, "The Corbomite Maneuver." 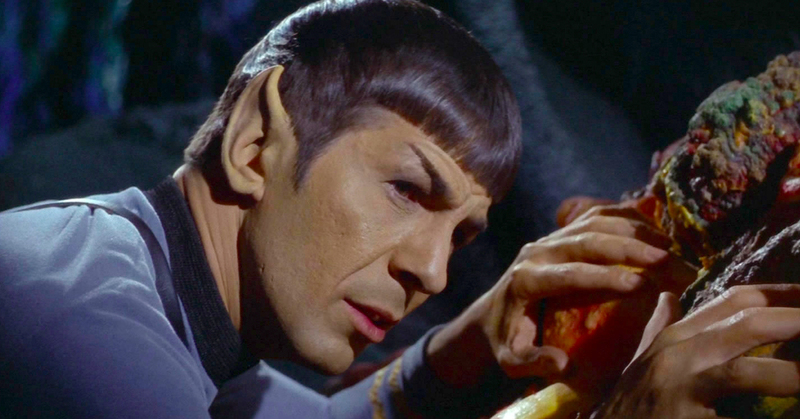 The episode comes in the first season, just after "Dagger of the Mind," an episode where Spock must use the Vulcan mind-meld to save Kirk, and just before the two-part episode "The Menagerie," where Spock suddenly finds himself court-martialed after hijacking the Enterprise. But in the grand scheme of Star Trek history, Sargent played a much bigger role than helping Kirk bluff his way through one of Trek's earliest high-stakes poker games. In an interview with the Archive of American Television, Sargent said that while he was on set, Gene Roddenberry gave him a very special mission. It seems that Leonard Nimoy in the first season of Star Trek was not entirely sold on his stone-faced character. According to Sargent, "The one outstanding other contribution I made to the show was that Leonard Nimoy wanted to quit. ... So it was Gene, [he] assigned me the task of convincing Leonard to do the role. Because he couldn’t imagine as an actor how he was going to sustain playing someone without emotion." So while Sargent plotted his course to direct "The Corbomite Maneuver," he was also making moves behind the scenes to keep one of the series' leads firmly planted in what would become an iconic role. Sargent said he approached Nimoy at that time, and Nimoy expressed his concerns: "I’m an actor. I’m used to tapping my emotional instrument. What am I gonna do with this role?" Ultimately, Nimoy shared his conviction to quit with Sargent, saying of his ability to carry such an emotionally starved character, "I don't think so." "The uniqueness of this superior human being, being able to withstand all of the pressures and all of the stress ... [of] the rest of the crew ... he makes a contribution because of that that is far and above.